I believe we have all heard of Sir Joshua Reynolds RA FRS FRSA (16 July 1723 – 23 February 1792). He was born in Plympton, Devon. His father, who had been a student at Balliol, Oxford, did not send his sons to university. In 1640, Reynolds, who was fond of the arts and showed promise as an artist, apprenticed under Thomas Hudson. 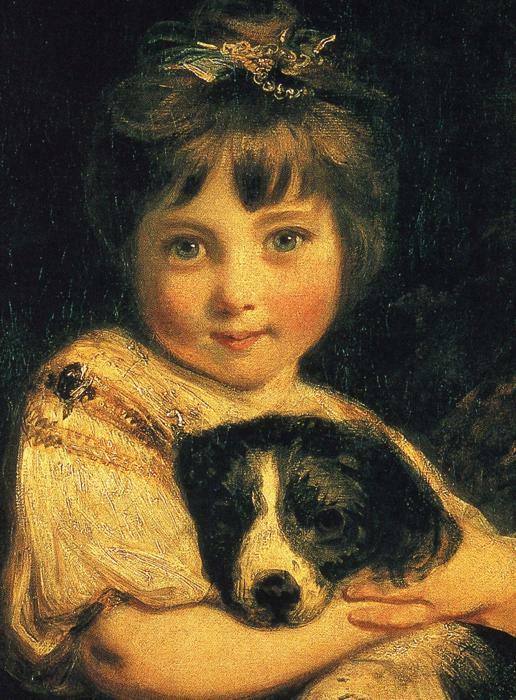 As a pupil of Thomas Hudson, he copied the Old Masters Hudson had in his collection. He left after three years rather than the customary four and went to Plymouth Doc (now Devonport) where he worked as a portrait-painter After his father died, in 1745, he remained in Plymouth Doc and shared a house with his sisters. In the late 1740s, Reynolds accepted Commodore Augustus Keppel‘s invitation to sail to the Mediterranean. This trip took Joshua to Rome where he spent three years studying Raphael and Michelangelo. On his return trip to England, he was accompanied by 17–year-old Giuseppe Marchi who would be his assistant, but would become an artist in his own right. When he returned to England, it was not long before Reynolds settled in London where his sister was his housekeeper. He had “connections,” as we would say. Lord Edgecumbe, recommended the Duke of Devonshire and the Duke of Grafton to sit for him. His clients must have been pleased as others followed. In 1764, Reynolds founded a literary club, “The Club,” which could be compared to Madame Marie Thérèse Rodet Geoffrin‘s Paris salon. Madame Geoffrin (26 June 1699 – 6 October 6, 1777) was hostess to encyclopédistes and France’s intelligentsia. Habitués, or regulars, needed only contribute a fine mind and good manners. Similarly, members of “The Club” were untitled men of genius. However, “The Club” differed from Madame Geoffrin’s salon in that it was a man’s club. Reynolds was also a Freemason, another fraternity. 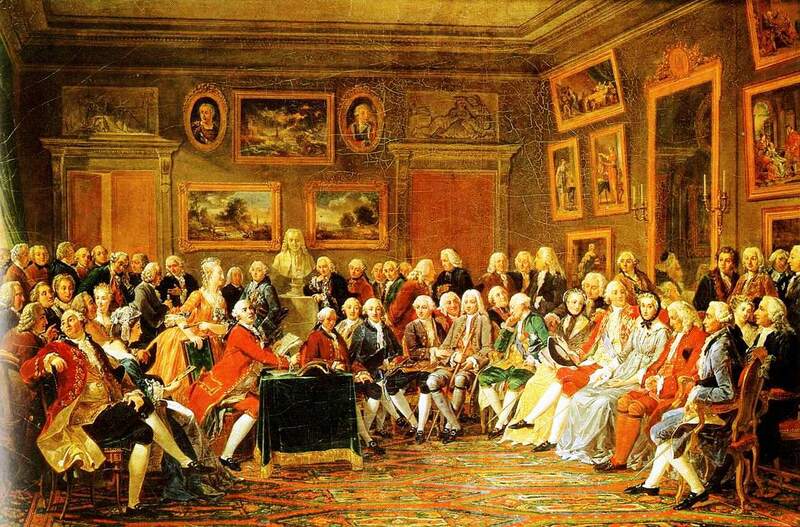 Members of “The Club” were, among possible others, Dr Johnson, David Garrick, Edmund Burke, James Boswell and Richard Sheridan, all of whom were noted intellectuals. 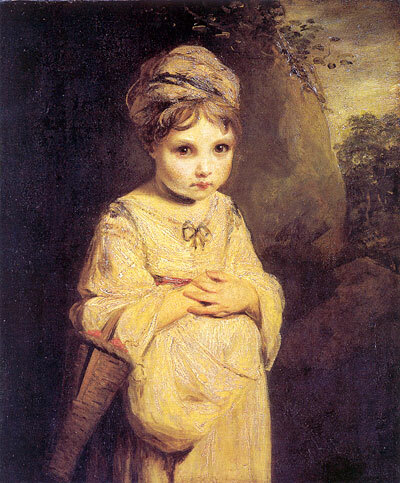 (Sir Joshua Reynolds, Wikipedia) However, Reynolds was knighted by George III, in 1769, thereby acquiring a title. Later, in 1784, he became painter to the king. Reynolds was a member of the incorporated Society of Artists and, with Thomas Gainsborough (christened 14 May 1727 – 2 August 1788), he established the Royal Academy of Arts. He was its first president and remained its president until his death. Many opposed Reynold’s “grand style,” or academic painting, a common phenomenon. As we have seen, members of Russia’s Mir iskusstva also struggled to free themselves from the constraints of academic painting and, according to André Breton, surrealism was a revolutionary movement. Yet, although I love the art of William Blake, I cannot find anything wrong with the two portraits I have chosen to feature. Just below is The Strawberry Girl, 1810. Karina Gauvin FR Karina Gauvin EN.